We are pleased to be able to announce the draft conference programme for our inaugural conference, ‘A Century On: Modernist Studies in Wales’. Please follow the link for a PDF copy of the Programme. 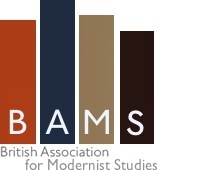 This conference is kindly supported by the Learned Society of Wales, the Research Institute for Arts and Humanities, Swansea University, and the British Association for Modernist Studies (BAMS). Those wishing to purchase tickets can do so by visiting our registration page.